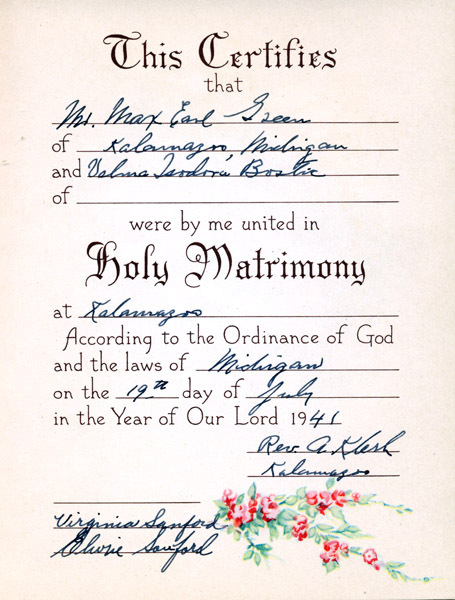 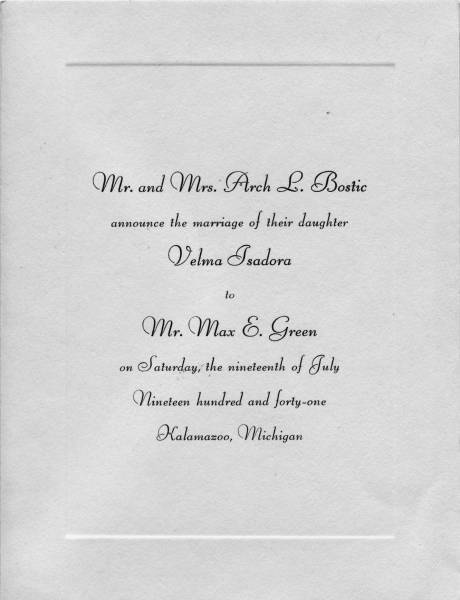 My husband’s grandparents Max Earl Green and Velma Isadora Bostic were married on July 19, 1941 in Kalamazoo, Michigan. 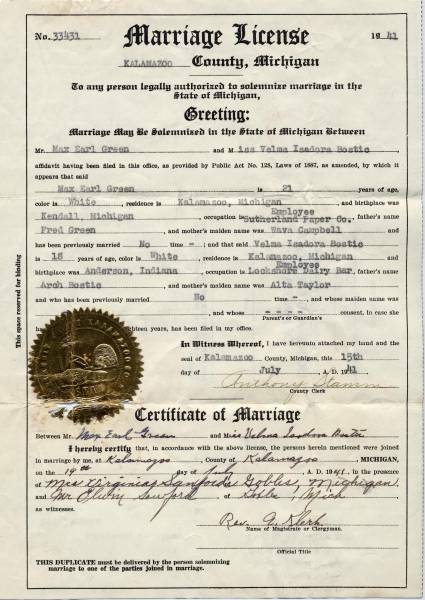 Their first child Barbara was born nine months later. 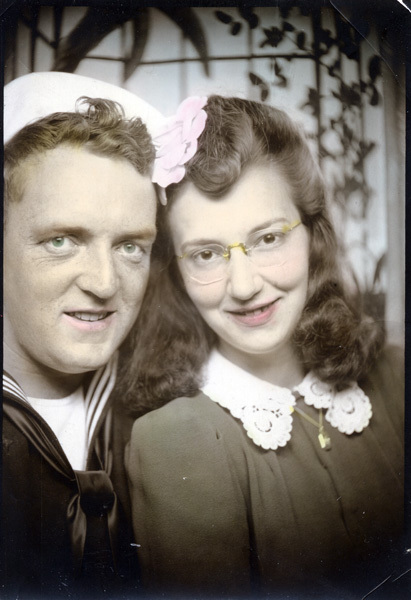 Their only son Jerald was born two years after that, just before Max enlisted in the Navy in 1944.